2018 has seen the Trident replacement programme lurch from crisis to crisis. 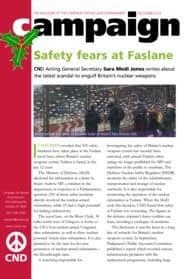 Read about the latest problems – safety fears at the Faslane naval base – in this issue. You can also read about how arms companies are getting involved in our children’s education.